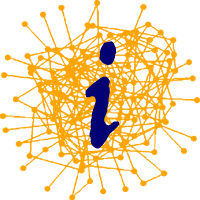 Information theory constitutes the basic component of theoretical information studies but there are also other components. One of them is application of information studies to the theoretical areas of science and humanities, e.g., application to theoretical physics or to theoretical computer science. Another component consists of information-oriented and information-based theories in different areas, e.g., genetics, which treats hereditary information, or theoretical computer science, which studied information processing. The Symposium Theoretical Information Studiesis organized as a part ofIS4SI Summit 2019 in Berkeley, California, USA. The goal of the Symposium is to bring together academics and researchers providing beneficial conditions for presenting and discussing recent achievements and problems of information theory and its applications to theoretical issues of science and humanities, as well as information-oriented and information-based theories in different areas. Researchers are invited to send their abstracts for presentation, as well as to suggest organization and chairing of special sessions and discussion panels at the Symposium. Accepted extended abstracts will be published in the Proceedings. The best of the contributed papers will be included in the book published after the Symposium.